Indulge yourself in extravagance as well as Exclusive Complimentary Perks at the Enchantment Resort and Mii amo Spa when you book your stay across WhataHotel! 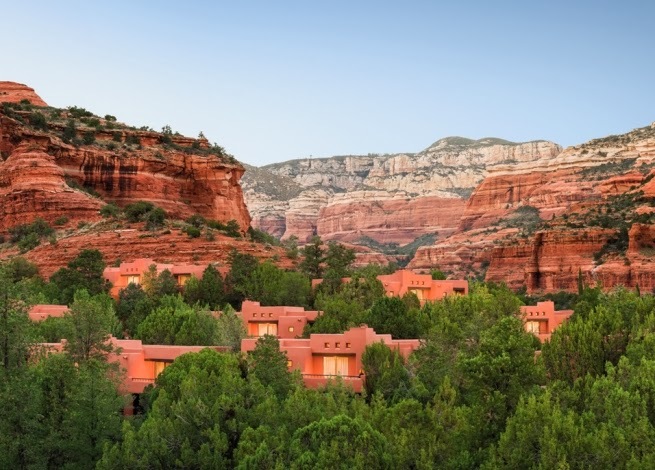 Located in gorgeous Sedona, this glamorous resort is surrounded by the majestic red rock formations of Northern Arizona's Boynton Canyon. 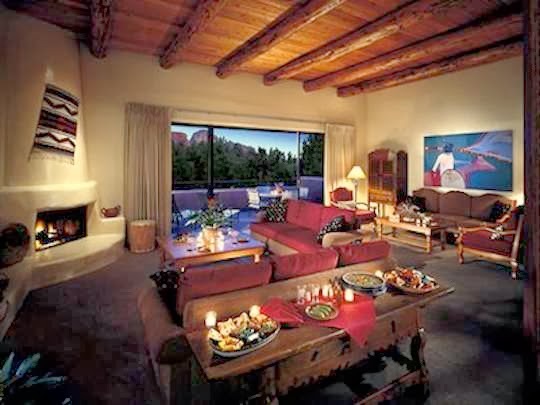 The rugged terrain stands in stark contrast to the opulent Native American inspired resort. The exterior of the resort shows off with an adobe casita-style architecture while the inside features world-class comforts and remarkable service. 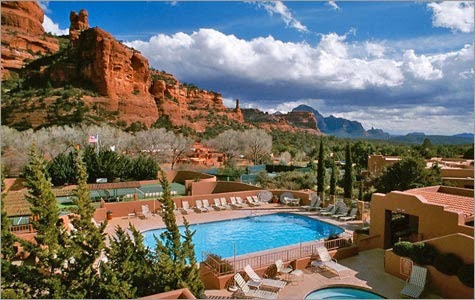 Travel to the trendy town of Sedona and discover natural beauty and limitless luxury. Situated on 70-acres of pristine grounds, surrounded by the Coconino National Forest, Enchantment Resort and Mii amo Spa is a truly rustic chic destination. The archaeological rarities and robust southwestern history are found both on the resort grounds as well as in the surrounding areas, guaranteeing a remarkable stay. Guests will feel at home in the guestrooms and suites, all decorated in rich earth tones with a local feel, outfitted with state-of-the-art technology and each room with an outdoor balcony so that everyone can enjoy the beauty of the formations. 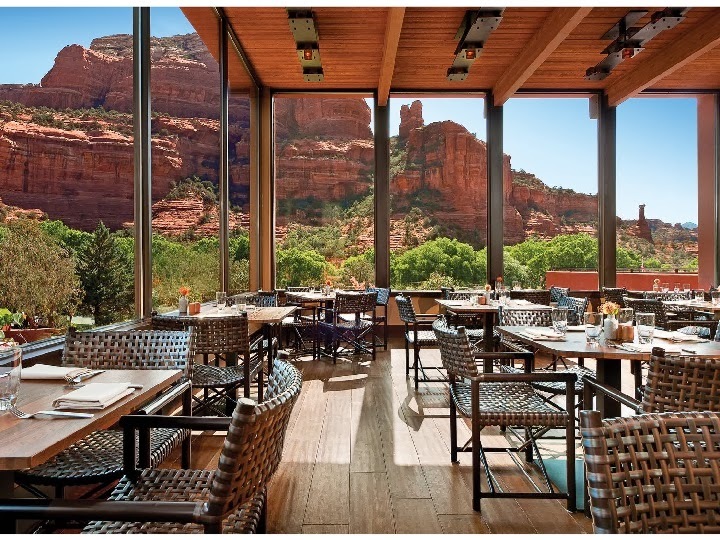 The inspired dining offered here will ensure that each visitor can realize the flavor of the southwest in the freshest way possible. Dine inside or at one of the outdoor terraces for a unique and tasty experience. One of the main highlights of this breathtaking resort is Mii Amo Spa. Inspired by the traditions of the Native American people, this full-service spa promises guests a rejuvenating and tranquil place to go to relax and unwind. There are other impressive amenities found here that will excite both the young and the not so young. The active individuals might enjoy the well-equipped fitness center, going golfing or maybe hiking through the stunning rocky landscape, while those in search of rest might prefer the pretty pool and the cozy poolside loungers, whatever your preference, adventure and respite await you at Enchantment Resort and Mii amo Spa. When booking your stay at Enchantment Resort and Mii amo Spa across WhataHotel!, guests can discover Exclusive Complimentary Perks for an exceptional deal. These perks include available upgrades at check-in, a continental breakfast for two daily, and a $100 credit towards spa services. Come to the place where stars light up the night sky and a quiet calm can be felt in the air. 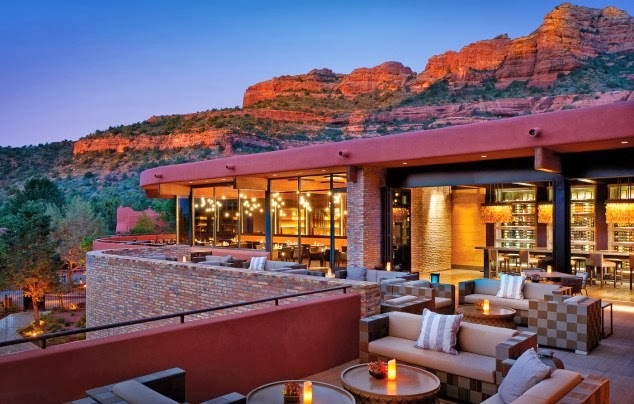 Relaxation and pampering can be yours when you travel to Sedona and stay at the phenomenal Enchantment Resort and Mii amo Spa.